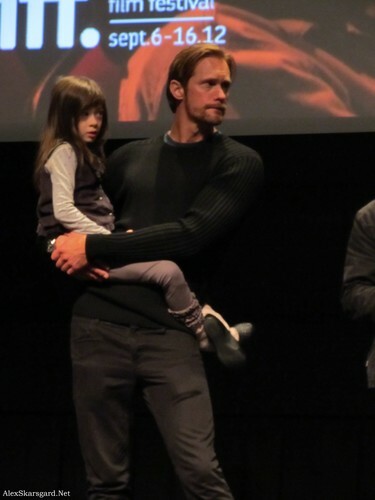 What Maisie Knew Q&A at TIFF. . HD Wallpaper and background images in the Alexander Skarsgård club tagged: alexander skarsgård 2012 tiff what maisie knew photos. This Alexander Skarsgård photo contains costume d'affaires, costume d’affaires, signe, affiche, texte, tableau noir, tableau, affiches, and concert. There might also be bien habillé personne, costume, costume pantalon, tailleur-pantalon, pantalon costume, pantsuit, personne bien habillé, pantalon de costume, rue, scène de ville, milieu urbain, ville, scène, urbain, cadre, mise en scène de rue, and multiplex. Alexander Skarsgard: plaque, plaque à snacker Cafe with Mom & Bro! Why Do I Never See This At My Mall? Alexander Skarsgard: 'Metropia' Press Conference! Alexander Skarsgard: Lacoste L!ve Party with Kirsten Dunst! Alexander Skarsgard: 'Maisie' in Central Park! Alexander Skarsgard & Kate Bosworth: Movie Night! Alexander Skarsgard: My Grandma Loves Her Liquor! Alexander Skarsgard & Kate Bosworth: Coachella Duo! Alexander Skarsgard: Hamptons Film Festival's Breakthrough Performer! Alexander Skarsgard: Win a Walk-On Role in 'True Blood'! Alex's tiny cameo in the movie "Hitch"